U.S. Ambassador to NATO Kay Bailey Hutchison on Tuesday warned that the U.S. could be forced to "take out" missiles Russia is developing that violate a Cold War-era treaty. If completed, the 9M729 Russian missile system could give it the capability to launch a missile strike on Europe with little or no notice, the Associated Press reported. "It is time now for Russia to come to the table and stop the violations," Hutchison told reporters in Brussels, where US Defense Secretary Jim Mattis would later meet his NATO counterparts. She added that if the system became operational, the U.S. "would then be looking at the capability to take out a missile that could hit any of our countries in Europe and hit America." "There will come a point in the future in which America will determine that it has to move forward with a development phase that is not allowed by the treaty right now," Hutchison said. 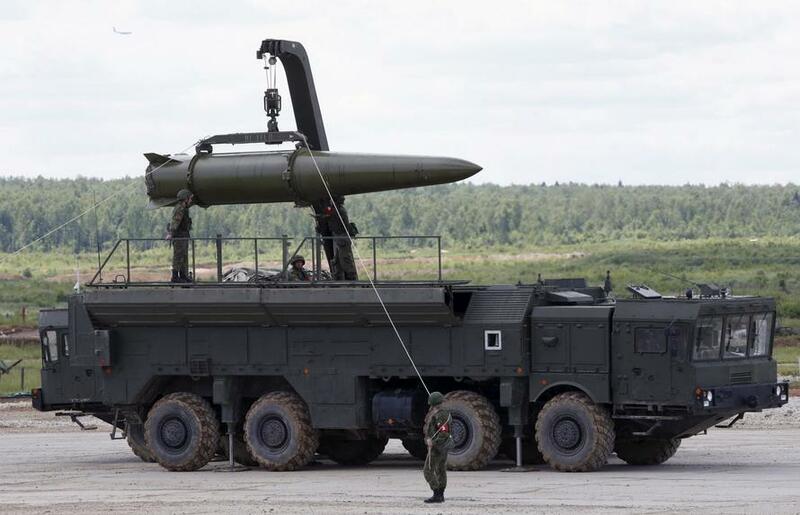 Meanwhile, Russia's Foreign Ministry has said that the 9M729 missiles correspond to Russia's obligations under the INF Treaty and have not been upgraded and tested for the prohibited ranges. Moscow also noted that Washington had never provided any evidence that Russia had violated the agreement because such proof does not exist. Earlier in July, Russian Defense Minister Sergei Shoigu claimed that the United States is violating the treaty by deploying in Europe missile defense systems with launchers, which might be used for firing Tomahawk cruise missiles. Hutchison's comments come a day before Defense Secretary James Mattis was scheduled to meet with other NATO officials. Mattis said he intends to bring up the missile issue during the meeting according to the AP. Concerns over the missile system mark the latest sign of tensions between Russia and the rest of the world. Most recently, the U.S. imposed sanctions on Russia after the intelligence community determined that Russia interfered in the 2016 election. Multiple Russians have since been charged in special counsel Robert Mueller's investigation into election meddling.